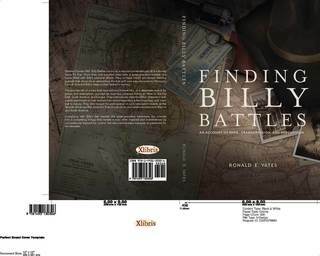 In his new book Finding Billy Battles Ronald E. Yates tells the sweeping story of a man whose deeds and misdeeds propel him on an extraordinary and perilous journey from the untamed American West to the inscrutable Far East. The story begins when Billy's great-grandson inherits two trunks filled with the detritus of a century-long life, including a number of meticulously detailed and shocking journals that reveal several violent confrontations and horrific incidents previously lost to history. Those events, as well as a heartrending personal tragedy, transform Billy Battles into a haunted and hunted man. Complying with Billy's last request, his great-grandson compiles the journals into a three-part trilogy, of which this book is the first.